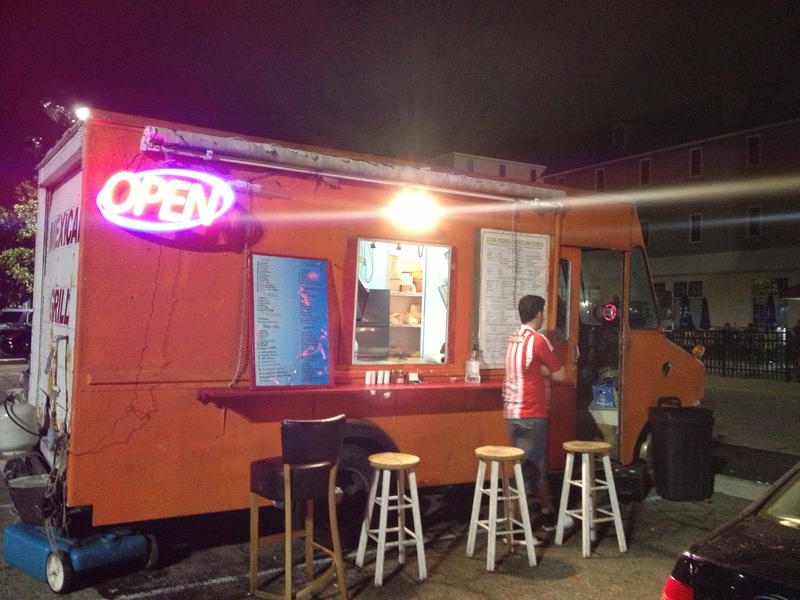 This truck is now closed and has been reopened as Taco Loco same location, new owners, new menu. (Near intersection of East Cooke and Cleveland Ave). 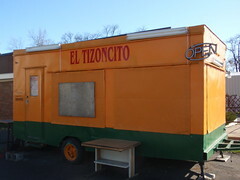 The Taco Truck Columbus team knows the El Tizoncito site well. Earlier in the year, the parking lot was dubbed the Bermuda Triangle of Taco Trucks since it serves as a resting ground of trucks that are not in use. The site was first on our radar as the former location of Darbo Cafe, an Somali restaurant which closed in September. 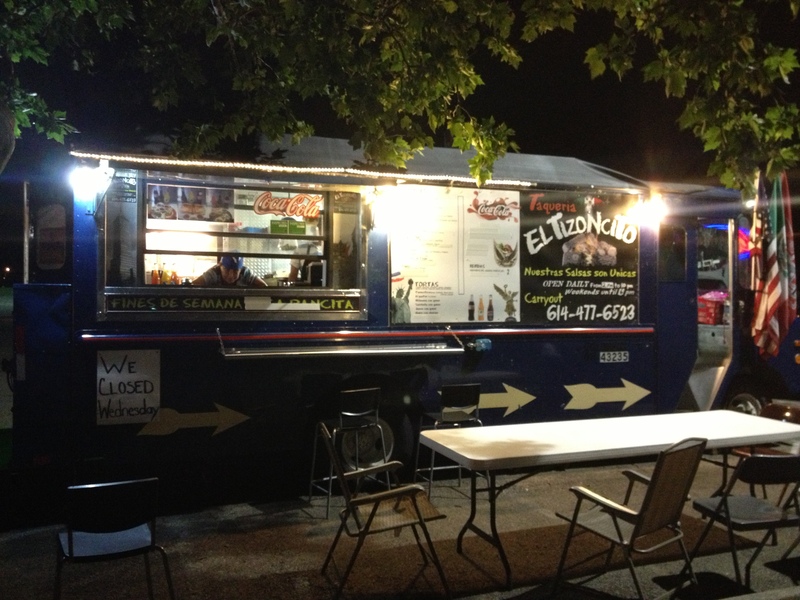 We also know El Tizoncito as “the orange truck” that was a bonus stop for the Night of 1000 Tacos. We have been delayed writing about this mobile taco stand while trying to find the owner on site to ask for permission to photograph the truck. We have also found afternoon hours to be a bit….variable. El Tizoncito opened around August of 2009. The truck is easy to find but a little hard to figure out. There is no menu at the truck, you kind of have to sort that out for yourself. It takes a little prodding to find out what you can order. This is what is available in taco or burrito form: al pastor, carnitas, pollo, barbacoa and asada. There are also five to six homemade salsas available each day which seem to vary with each visit. We also discovered that El Tizoncito has huevos (eggs) which they will serve with jamon (ham) or as Huevos Rancheros. Based on TTC posted comments and our own experience, the al pastor tacos are your better bet here. A word of advice for this truck, you may want to take your own beverage with you or pop across the street to the bar (if you do let us know how that goes) because we have yet to find a cold beverage here or a consistent line up of choices. Another advisory that you can take with a grain of salt. Some of our Taco Truck savvy allies that frequent this site report that they feel a little uncomfortable and unsafe here during the later evening hours based on encounters with some the clientele. Use your best judgment, our own experiences have been OK but we have dined mostly in the early evening.